Most of my works in progress are Christmas quilts, that need binding before...um, the end of the week and shipping deadlines. But in the midst of t-shirt quilt tops and Secret Santa sewing, I've been working on a scrap project as a leader/ender, and also trying to spend fifteen minutes a day cleaning up my scrap bins. First, the bins. 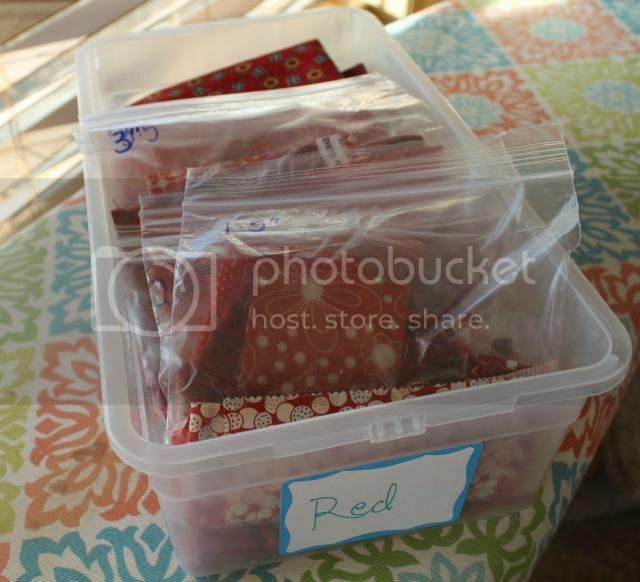 Each color is in a shoebox, and I separated out the little scraps into 1.5-4" baggies. This way I won't be scrounging around forever trying to find the right sizes for a log cabin or churn dash...or whatever my Rainbow Scrap Challenge will be for next year. 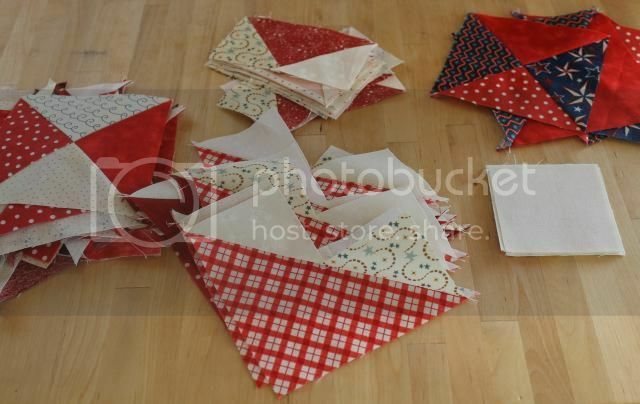 The problem with this is I'm also pulling scraps for projects - red, white, and blue in particular. And these could really use some organization. 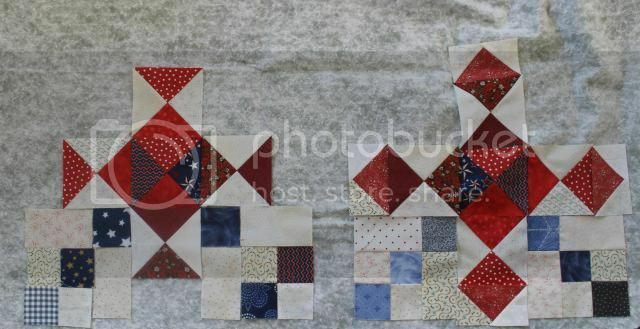 There's 3" squares for a Scrappy Trip Around the World. 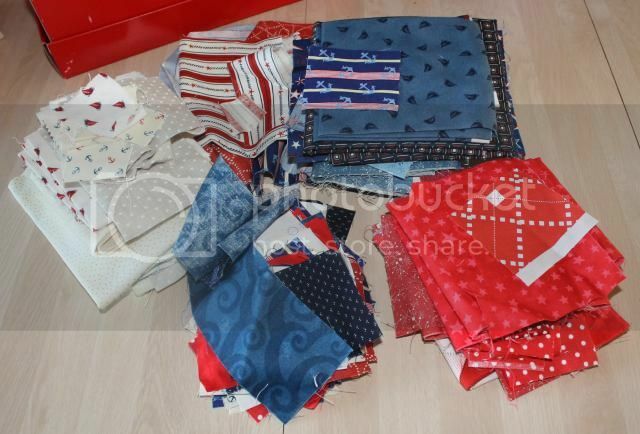 There's a bunch of fat quarters that I sliced off whatever I needed as I needed it for the leader/ender project. There's strips too small for either, and should really be put into a log cabin project bag. It seems every step in organization just adds to the project list. Which unfortunately ends up not looking like much when I try to lay it out. I need to find the 2.5" strips next... I guess I know what my next fifteen minutes will be!